Not everyone wants or needs need a full-scale consulting enagement. Still, sometimes it would be nice to be able to pick up the phone and discuss a specific question or topic for 10 minutes or so with a subject matter expert. We agree, and so we provide this type of service on a pay as you go basis. To get going on this, simply pick up the phone and dial 973-985-9126. We'll try to answer immediately; if not, we will make every attempt to call you back quickly while your question is still fresh in your mind. 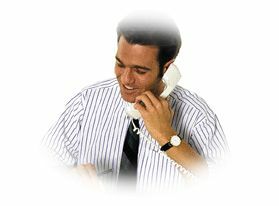 The first 10-minute phone call is free, after that the cost is 1.75 per minute with a four-minute minimum ($7.00). To keep things simple we will ask you to put the charges on your credit card.